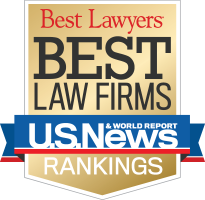 Enhance your firm's reputation and visibility through U.S. News and Best Lawyers®. Firm profiles allow you to feature all of the most important and impactful information that existing and potential clients want to know about your firm. Details include Client Comments, Firm Size and History, Fee Practices, Pro Bono Work, Diversity, Awards Received by the Firm, Offices, Contacts, and more. You can update your information at any time. Showcase your firm’s "Best Law Firms" selection by advertising on the "Best Law Firms" website. 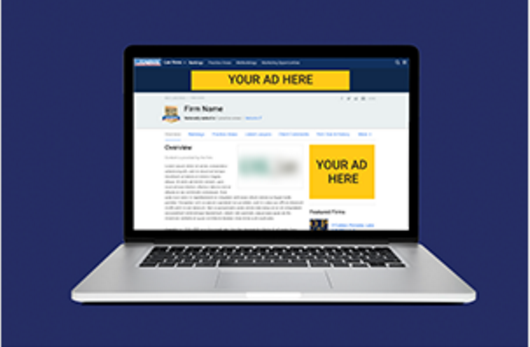 Banner ads are available in two distinct formats: Leaderboards (728x90) and Large Rectangles (300x250). Feature your firm by location or practice area. Get the click-throughs and website visitors you desire. Allow us to create a fully customized portfolio for your firm or practice area that can be used digitally or in print format as many times as you’d like. Tell the world about your "Best Law Firms" selection in this fully customizable brochure which can tell your firm’s story in your words at a price that will not break your marketing budget. 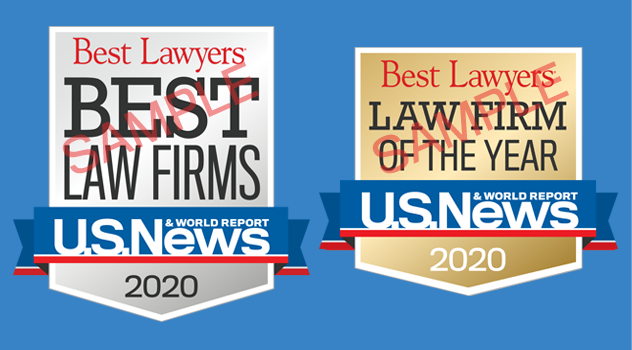 U.S. News - Best Lawyers "Best Law Firms" and "Law Firm of the Year" badges can be used to promote your firm’s prestigious selection for 2019. Use the badge on your website, on attorney bios, in print, and online. This one-time purchase gives you as much usage of the badge as you would like for one full year. Review our badge usage guidelines. The ultimate way to show off your "Best Law Firms" or "Law Firm of the Year" selection for your office or home is with a commemorative plaque or crystal. Plaques feature a 12" x 15" laser-engraved, silver-rimmed metallic plate. 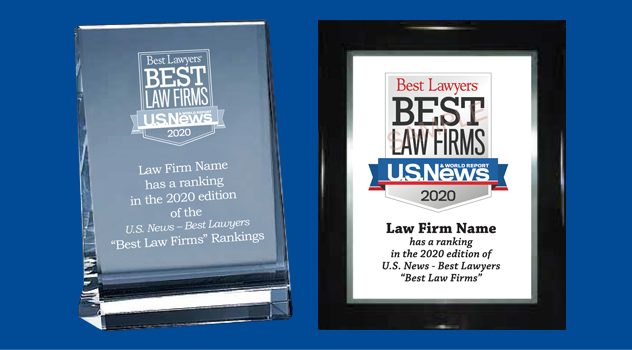 Crystals are 8" x 6" and are fully inscribed with the U.S. News – Best Lawyers "Best Law Firms" badge, firm name, and 2019 ranking(s).